It’s obvious from the number of posts and threads in Microsoft Communities that the Photos App in Windows 8.1, besides having been gutted of features loved by many, that QA on this app pretty much didn’t happen and customers are suffering. Following is a collection of fixes and issues. 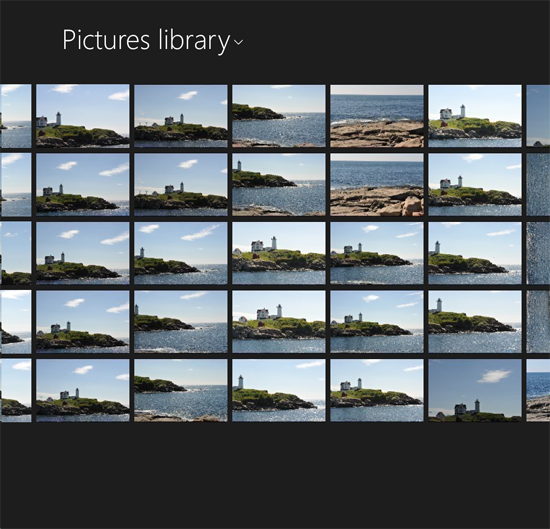 Before trying these fixes, make sure the Photos App is not running. I recommend that you restart your computer or tablet which will insure that Photos is closed. This could be a corrupt/damaged library issue. a. 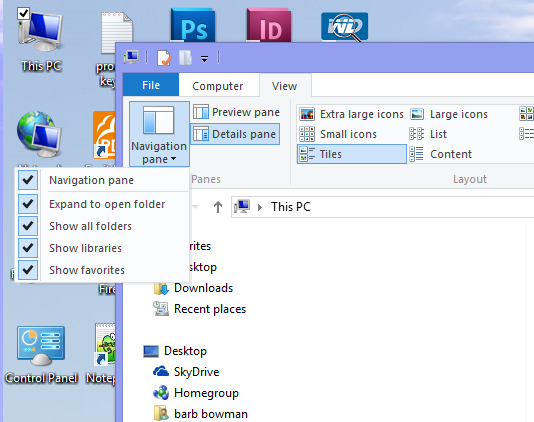 Open Windows File Explorer on the classic desktop. 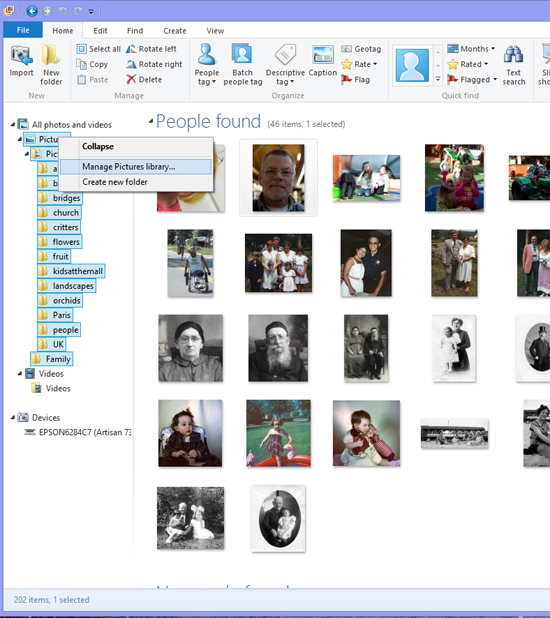 c. Now Navigate to Libraries (shown in Purple) and right click Pictures (tap and hold on a tablet) and then select Delete. Be sure you are in the Libraries hierarchy before you do this. If after performing Step 1 there is no content in the Photos App, try rebuilding the Index. 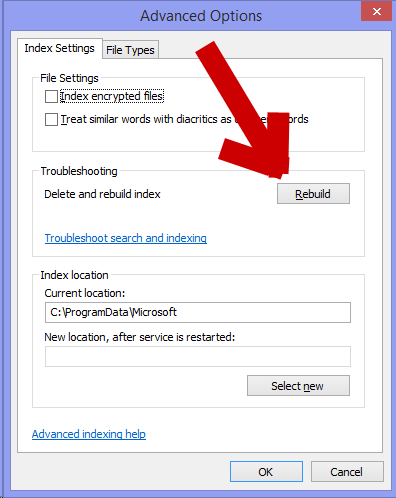 c. In the Advanced Options window, select Rebuild. This will take some time. You can continue to use your computer, but this will slow down the process. 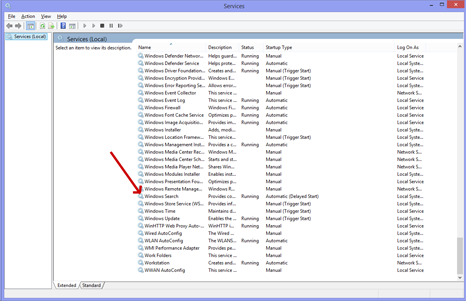 b. Scroll down in the Services Window and verify that Windows Search is running. c. If it is disabled, right click it, select Properties and set it to Automatic (Delayed Start) and verify it is started. 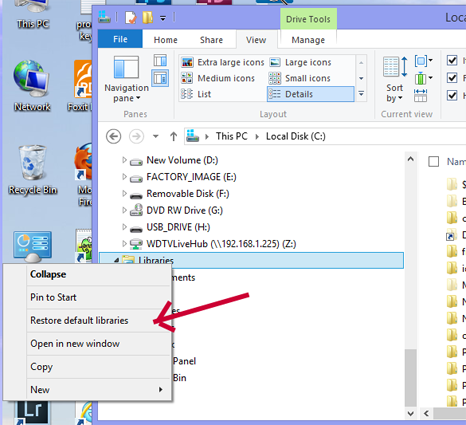 d. Restart your computer or tablet and try Step 2 again. Some Registry tools like iolo System Mechanic and PC Doctor have reportedly damaged the registry and prevent Windows Search from starting. 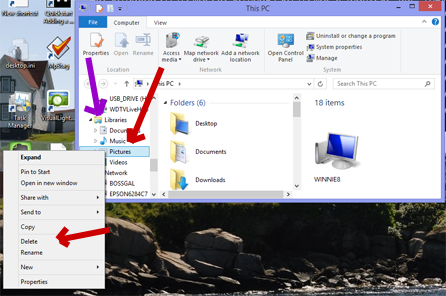 It has also been reported that some vendor utilities that ship with computers with SSD drives turn Windows Search off. a. If you have used a utility as described above, undo the changes made. My opinion is that most third party registry tools do more harm than good (and this current situation is just but one example). b. If you can’t undo the changes or un-doing the changes does not work, it has been reported that there is a registry fix that may resolve the issue. I have not tried this personally, but there are many confirmations that it does work. See the reply marked as Answer in this thread on Microsoft Communities. My recommendation is that if you try this fix (which I will repost below) that you first back up the registry and export the original key so that you have a way back. Using the registry editor is not something you should do unless you understand the consequences. 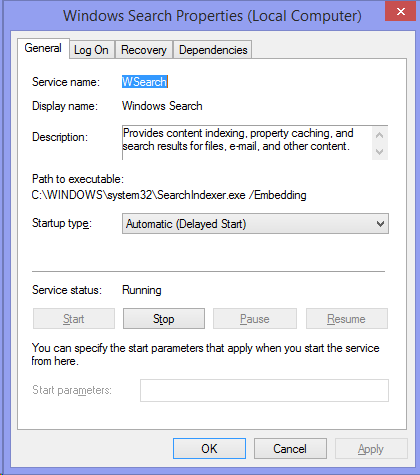 c. Restart your computer and then attempt to start the Windows Search Service (Step 3). 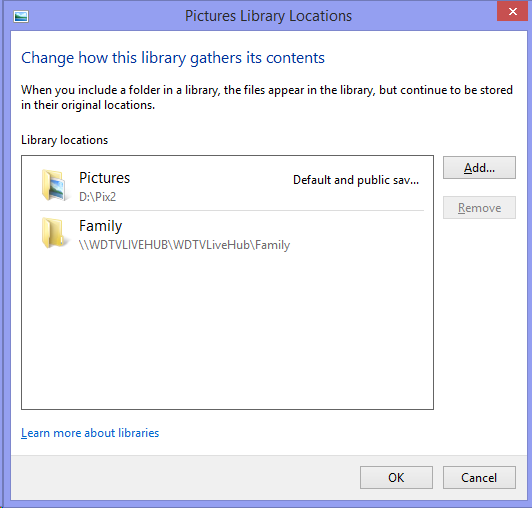 It has been reported that if a firewall rule blocks access to SkyDrive that the Photos App crashes on start. If you can change the rule, it may resolve the problem. 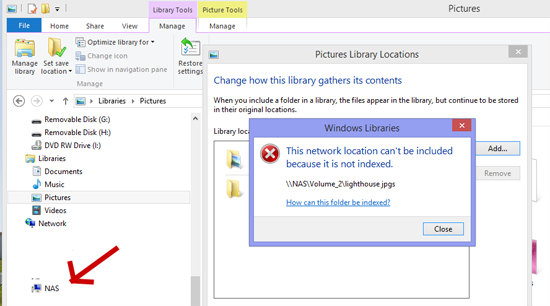 I’ve been frustrated, as have many others, with the inability of the Photos App in Windows 8.1 and the Libraries to recognize and use images stored on Linux based NAS boxes. So what’s the hack? 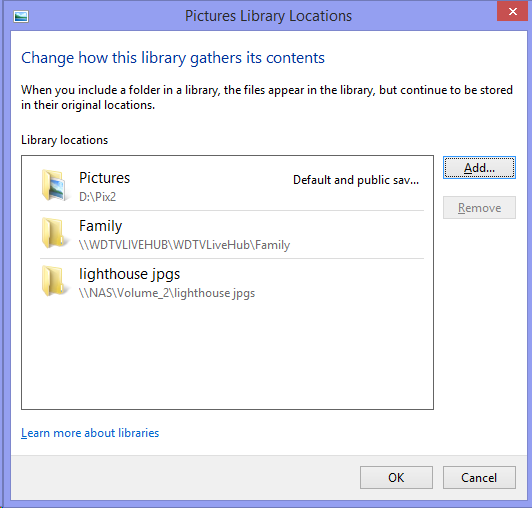 Install Windows Live Photo Gallery and add your NAS based folders to the library from within WLPG. This hack that will supply some relief for x86 users (but not RT users since WLPG can’t be installed on ARM based systems, etc.). 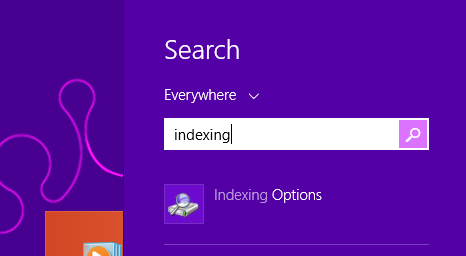 The frustrating experience “as is” on Windows 8.1 results in “This network location can’t be included because it is not indexed”, as shown below. Here are the steps you need to take to enable Linux NAS based images to appear in the 8.1 Photos App. 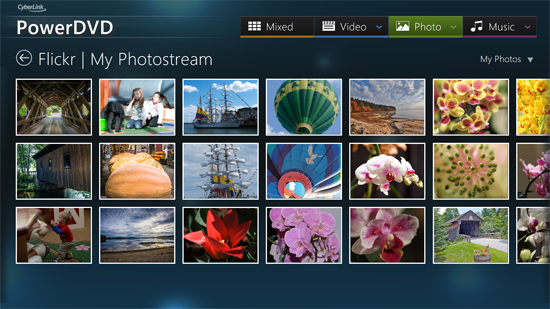 First, install Windows Live Photo Gallery and open it. 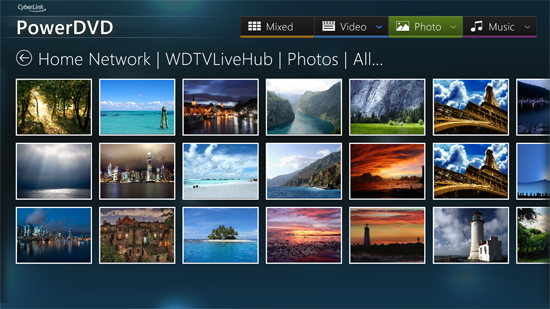 Second, using WLPG right click Pictures under All photos and videos and then select Manage Pictures Library. 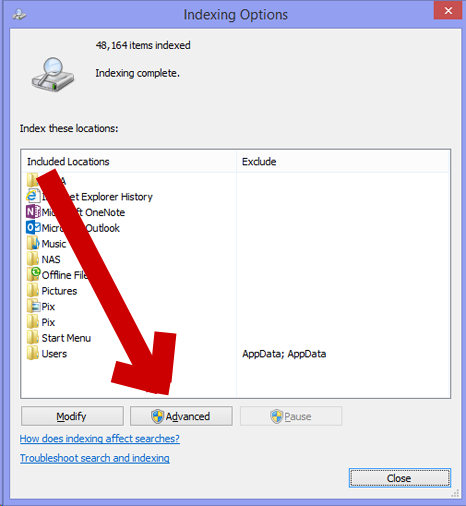 Fourth, browse to the folder on your NAS box you want to include and then select Include folder. 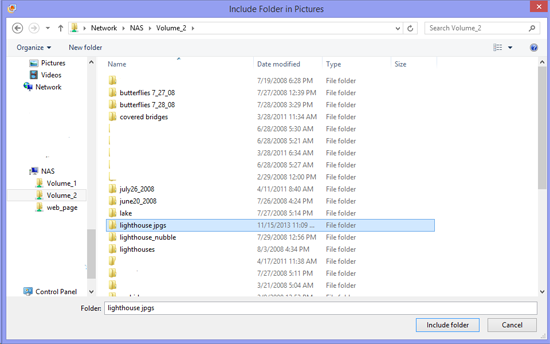 In the example below, lighthouse jpgs is the folder that has been selected. Fifth, no errors, no warnings, no nastigrams. The Linux based NAS folder can be added successfully. Click OK to close the window. 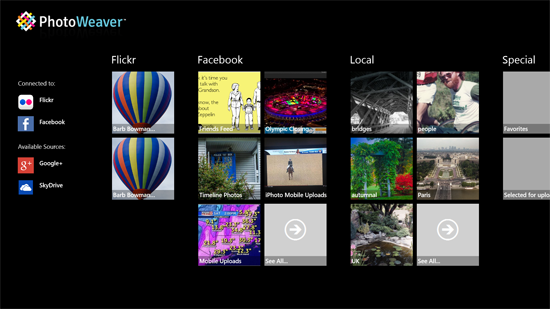 Sixth, confirm that your images display inside the Windows Live Photo Gallery browser. Finally! 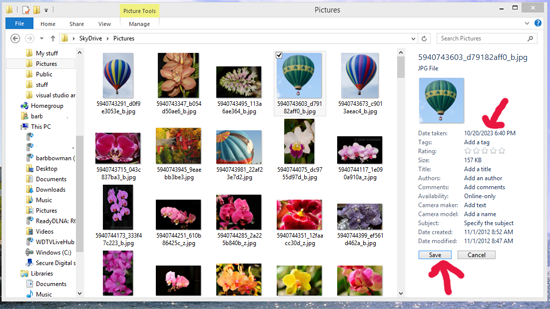 Open the Windows 8.1 Photos App and view your Linux NAS based photos. 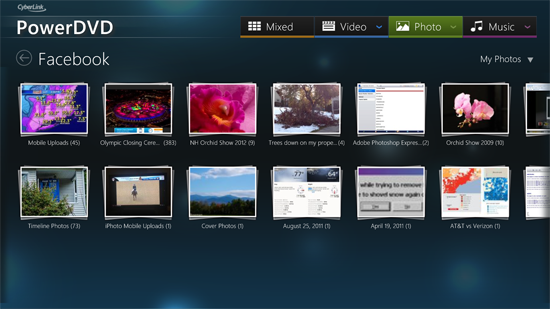 Note: Sadly, there will be no folder hierarchy and only the individual images are displayed on the main screen. 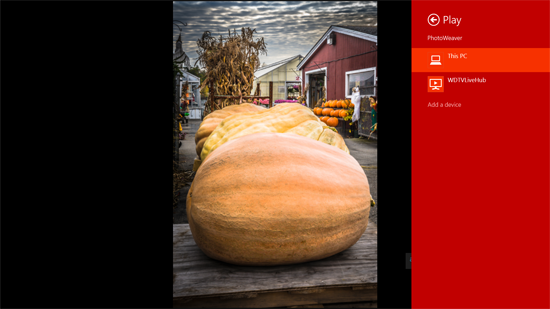 It may take a few minutes for the new main Photos App screen to populate, but if you can accept the flattened, non hierarchical view,you are further ahead than before you experimented with this kludge. 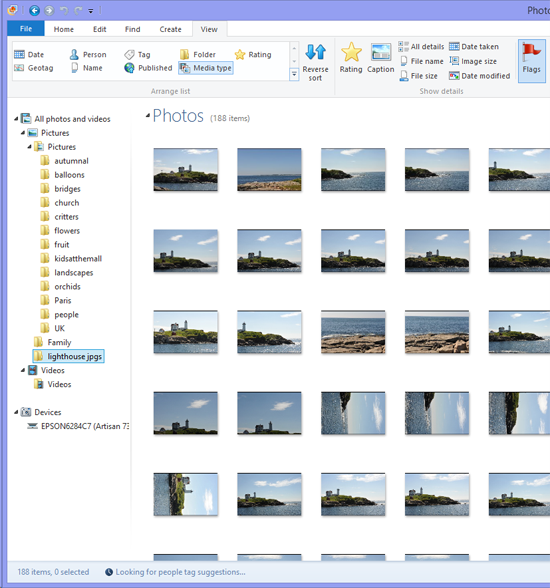 I really wanted to title this post “Microsoft ruined the Photos App in Windows 8.1 for me and many others, but if you spend $15, there is a wonderfully elegant app that not only returns the functionality that Microsoft amputated, but adds striking new functionality” but that’s way too long for a blog post title. I’ve been dismayed since I first installed the Windows 8.1 Preview (and later 8.1 RTM) over the dramatic reduction in functionality, usability, and capabilities of the Windows 8.1 Photos App. Microsoft elected to redesign the app, removing much loved features like Facebook and Flickr integration, the Play To contract (so you can use the Play menu with DLNA capable DMRS’s) and in general ruined the experience for many people, as evidenced by http://answers.microsoft.com/en-us/windows/forum/windows8_1-pictures/photos-app-in-81-loses-most-of-its-best-features/24ae3087-e627-4813-a887-49333a0d12dc. Microsoft’s implementation of including network folders on non Windows NAS boxes, or lack or implementation also is frustrating. I’ve spent many months trying to figure out how to replace all the functionality Microsoft removed and for $15, have a solution I’m pretty happy with. If you feel as I do, run, don’t walk, and grab a copy of Cyberlink’s Power DVD Mobile App for Windows 8. Don’t let the name DVD Mobile fool you, this is a TRUE media hub, better than Microsoft’s, and better than anything else out there. There is a 15 day free trial, so you really have nothing to lose. I rarely review software, and this is, by no means, a software review. 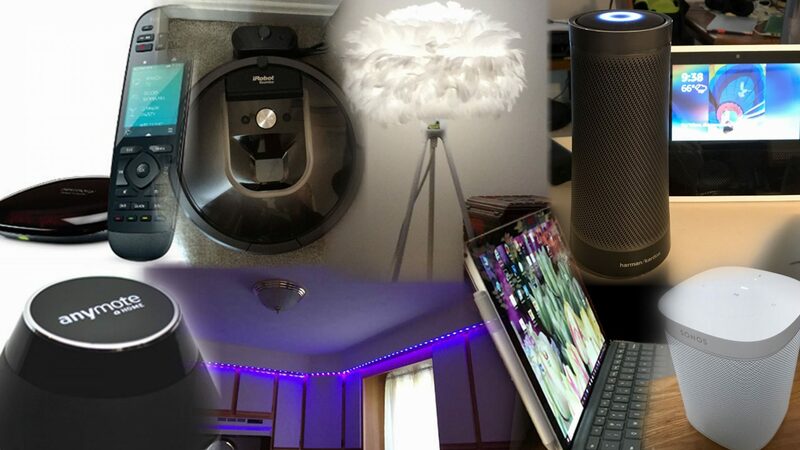 I’m posting this because it does all of the things Microsoft removed from the Photos App and adds a few really nice features. I haven’t even tried the Music features yet. But I will I bought this app after seeing what it did for Photos and Videos after using it for 24 hours. It’s that good. I installed the app and looked around. This app has a stunning visual presentation. 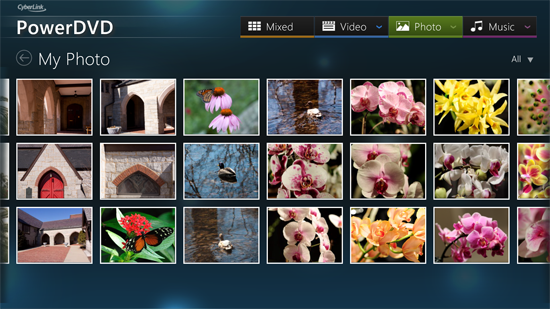 The Most Recent screen is a mixed media collage of your collections..
There’s a lot of functionality in the Photos area, and you can view your photos in multiple ways. 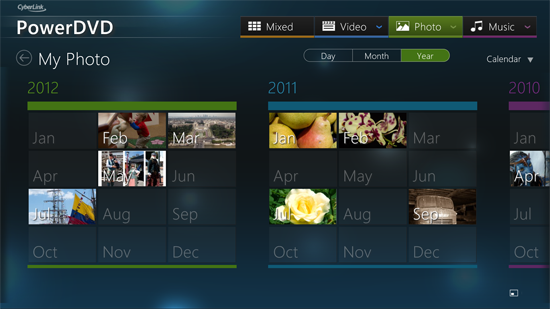 There’s a really nice calendar view, and the screen shot below should be self explanatory. 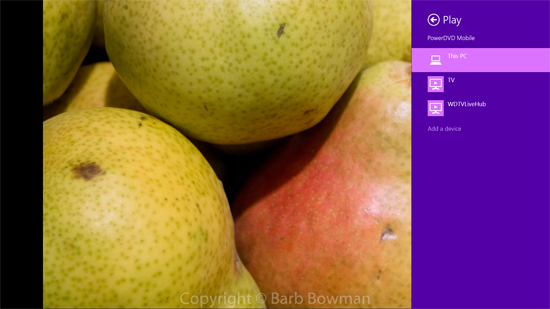 One of my biggest complaints was about what Microsoft amputated from the 8.1 Photos App – Facebook and Flickr integration, and this App brings it all back. 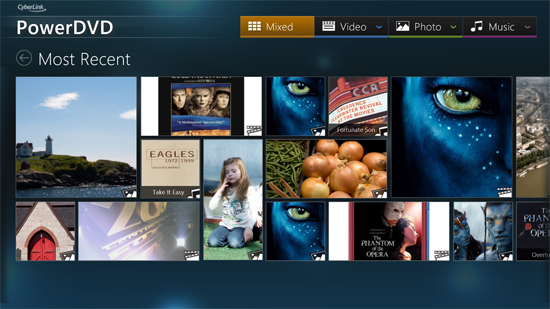 Bonus points – if your ‘Nix based NAS box has any kind of DLNA server (and many do), this app can display the content. Microsoft didn’t implement the Play To contract in the Photos App in 8.1. This app does not have that flaw. Cyberlink did it right. More bonus points: I’ve got some HD mkv files stored on a networked drive. Using Windows File explorer, I’m able to navigate to these network shares, tape and hold to display the shortcut menu and Open with this App, and these videos play with no delay. Better still, I can even stream them using Miracast to my Netgear Push2TV 3000 from within the Cyberlink app. Even more bonus points: HD mkv playback on my Surface 2.